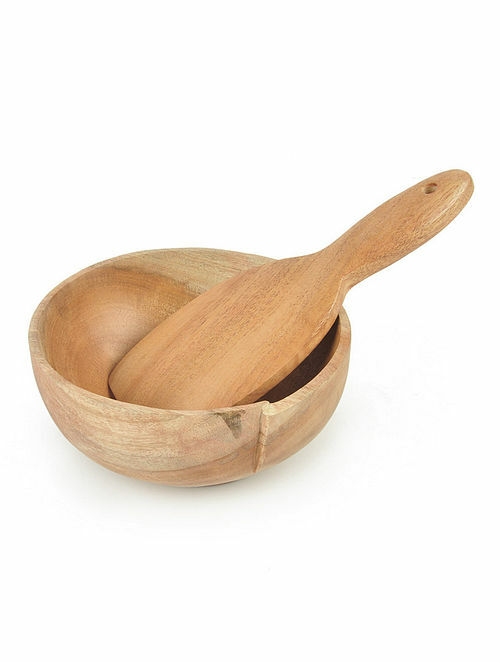 - Handcrafted bowl and serving spoon made using wood. - Will certainly enhance your tableware. Wipe with damp soft cloth. Do not wash with harsh chemical detergents. Can be waxed once or twice in 6 months with mansion polish.